This is a book to add to the list of wonderful picture book biographies that have been written recently. With an interesting story, engaging writing, and lovely illustrations, this is a book that will be well-read by those readers curious about scientists and ocean life. Eugenie Clarke's story is an important one to tell because she shows the importance of following one's passion and staying the course to achieve a dream even when others think it's not possible. Isabelle is a fairy godmother in-training, but can't seem to remember all the rules she needs to learn. To pass the test she has to grant her practice princess a wish, but this is not so easy since her princess is actually a normal girl. This story is full of fairy godmothers, magic, and sparkles, but there is also a sweet story about friendship. Isabelle proves her heart is in the right place and she is all the things a fairy godmother needs to be: kind, determined, and full of gusto. Young readers who enjoy fairy tale type stories are sure to be enchanted with this one and be eager for the next in the series. I think this book will appeal to many middle grade readers. Maddie's family has been left without a home after a tornado hits their neighborhood. A neighbor opens up their home to Maddie's family, as well as the family of the boy who Maddie has a crush on. Maddie is dealing with the loss of her house, but also the drama that comes with being a middle schooler. Maddie experiences jealousy and worry as she navigates her friendships and first crush and I think many young readers will be able to relate. This is a book with a character I love. 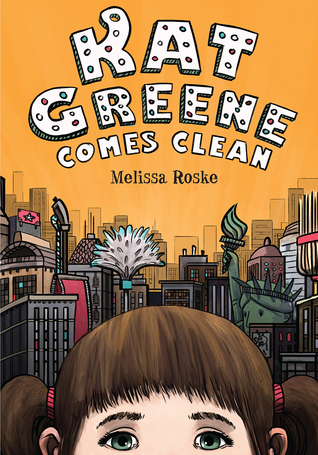 Kat Greene's life isn't easy, for a few reasons, but mainly because her mother seems to become obsessed with cleaning. As Kat navigates the challenges of her life she proves to be thoughtful, sweet, and funny. 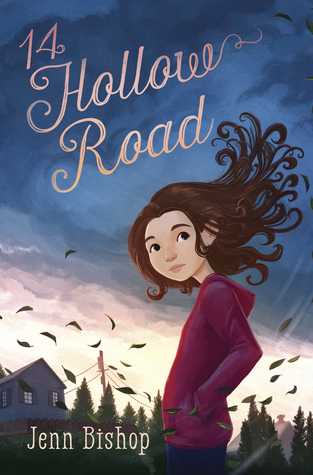 I enjoyed this story and I think middle grade readers will, too. You can read more about my thoughts here. This book will be available in August. Like Paul Griffin's previous middle grade novel, When Friendship Followed Me Home, this is a book that touches the heart. It's about a boy and a pig who thinks he's a dog, but it's also about a boy's journey to figure out what it means to be a friend and a hero. I have written a little more about my thoughts here. This book does not publish until September, but it's one to keep an eye out for. Saving Marty is the only book I haven't read. I saw it at ALA but missed getting it! Really enjoyed all of the other books on your list. 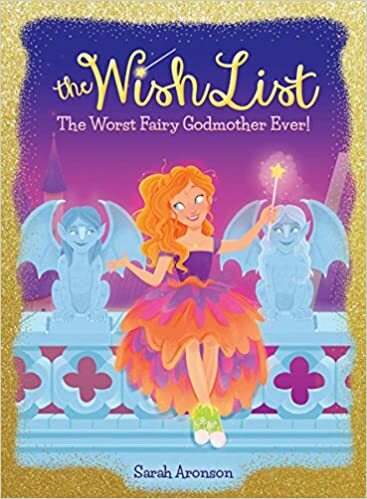 Wish List is perfect for many of my readers. I've been a fan of Paul Griffin since I met him at ILA last summer. Wish List will be great for many of my readers, too. Saving Marty sounds wonderful - adding that to my "to buy" list. 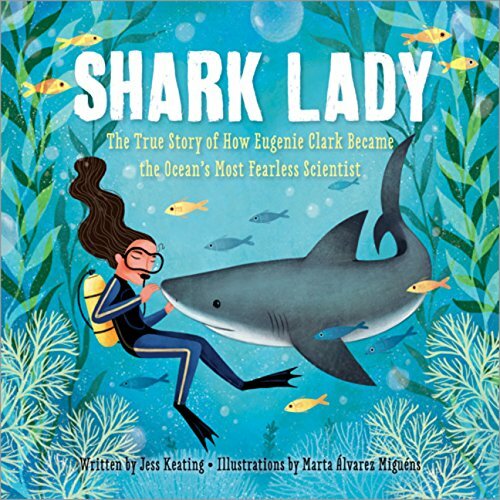 Shark books have always been very popular with my students, so I'm sure Shark Lady will be a favorite also! Have a great week! I've found the same with my students! Wow, so many MG winners this week! I loved Shark Lady - I'm always so thrilled to find beautiful picture books that celebrate pioneering women who changed the world simply by pursuing their passions and following their dreams. Books about women in science fields are definitely a great find! Oh I have been meaning to request Shark Lady. Thanks for the reminder. Kat Greene looks like one my students would like. Many of these books are on my to read list. I really enjoyed when friendship followed me home, except that there was so much grief and loss. However I appreciate Paul Griffin's writing so I'll give this one a go. 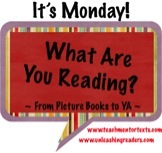 What a great list of books this week. All are on my TBR list but Saving Marty is new to me. I definitely will look out for it. Thanks! I have put Saving Marty on my TBR list. Loved When Friendship . . . Can't wait to get my own copy of Shark Lady!